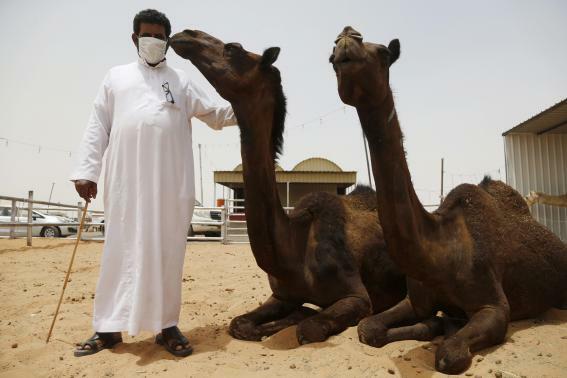 Using camel antibodies to protect humans from MERS, POC study successful. Antibodies from dromedary camels protected uninfected mice from Middle East Respiratory Syndrome (MERS), and helped infected mice expunge the disease, according to an opensource study in the Journal of Virology. MERS, which emerged in humans last year in the Saudi Arabian peninsula, causes severe respiratory disease, with a high mortality rate of 35-40 percent. No specific therapy is currently available. The results, from University of Iowa and the University of Hong Kong, suggest that these antibodies might prove therapeutic for MERS patients, and might protect uninfected household members and healthcare workers against MERS. Passive immunization, a procedure where a former patient’s antibodies are injected into a new patient to fight the disease, has been used in the past, including last year in a small number of cases of Ebola, but in the case of MERS, few former patients are available to donate antibodies. Additionally, the team explains that their antibody titers are often too low, and many former patients are not healthy enough to donate. Suspecting that humans and dromedaries were likely infected by the same virus the team theorised that camel sera might be used to combat MERS. The vast majority of dromedary camels on the Arabian peninsula are infected, and many have high antibody titers. The investigators decided to test dromedary camel antibodies against virus taken from humans. They tested the antibodies in mouse models infected with the latter virus. The current study, a successful proof of concept, showed that prophylactic or therapeutic treatment with high titer MERS immune camel sera diminished weight loss and pathological changes in lung tissues, and cleared the infections in the mice. Along with their availability in the Arabian peninsula, the site of all initial human infections thus far, camel sera have several additional advantages. The part of an antibody that binds to the antigen is the variable region, state the team. The camel antibody’s variable region, which is the part of the antibody that recognizes antigen, is longer than most species’ antibody variable regions, so camel antibodies can detect structures missed by conventional (human) antibodies. The researchers state that the antibody will work in humans if delivered in sufficient quantities. The main hurdle is purifying the antibody and making sure that it is safe to administer to humans. Camel antibodies would also be relatively easy to use as the initial source to develop a recombinant, humanized antibody. The team surmise that while human antibodies have four chains, camel antibodies have a single chain. Recombinant, humanized antibodies could then be grown easily in bacteria.